So far, our favorite mode of transportation has to be the train. We bought a Eurail pass for each of us that lasted two months. This provided us with unlimited train travel through most the countries we were visiting. There are many great things about trains. The number one thing is that you do not have to go through cumbersome and time consuming security like at the airport. We could get to the train station 5 minutes before our train left and be just fine. 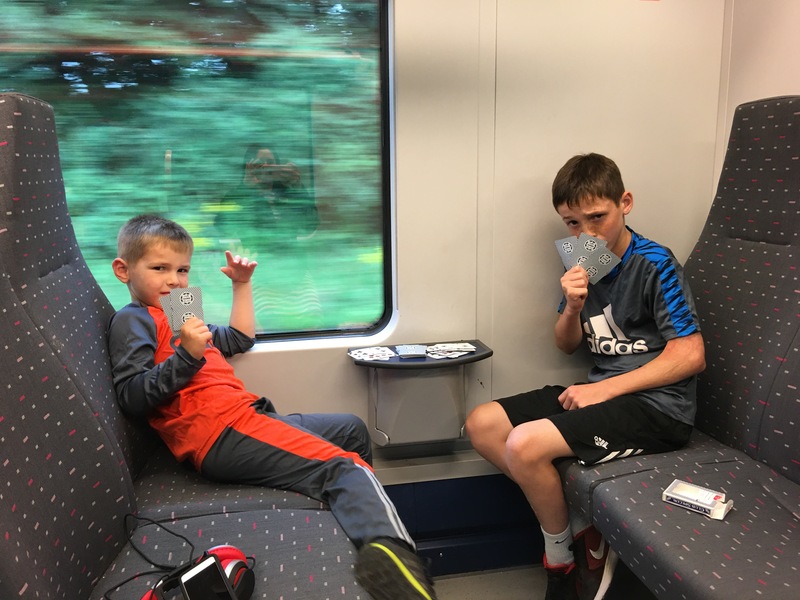 Some other great things about riding on the train are: when you are on the train you can walk around freely, the seats are bigger than on planes, you can go buy food when you are hungry, they have streaming wifi, and they aren’t as crowded so we can often spread out. 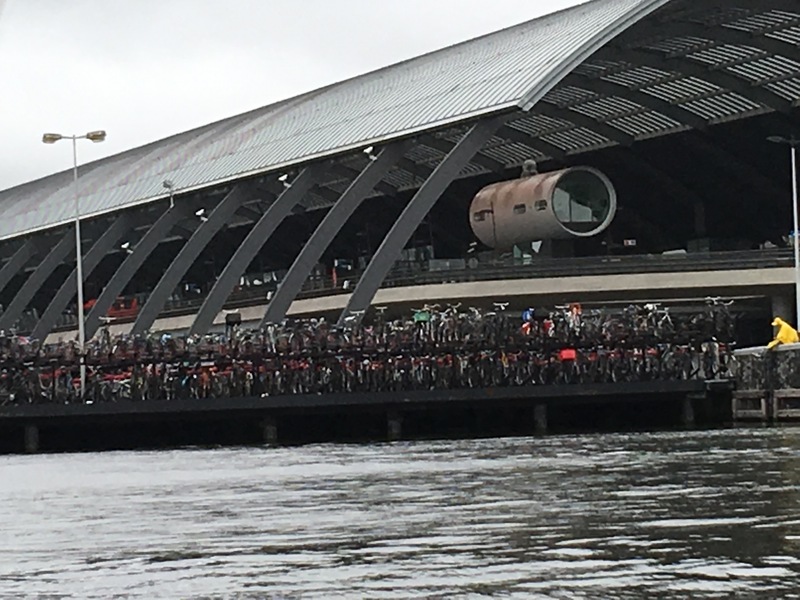 So after a quick ride on the train we arrived in Amsterdam where I immediately understood why it has been dubbed, “The Bicycle City.” Thousands of bikes stood outside the train station in multilevel bike “parking garages”, some of which were even floating! 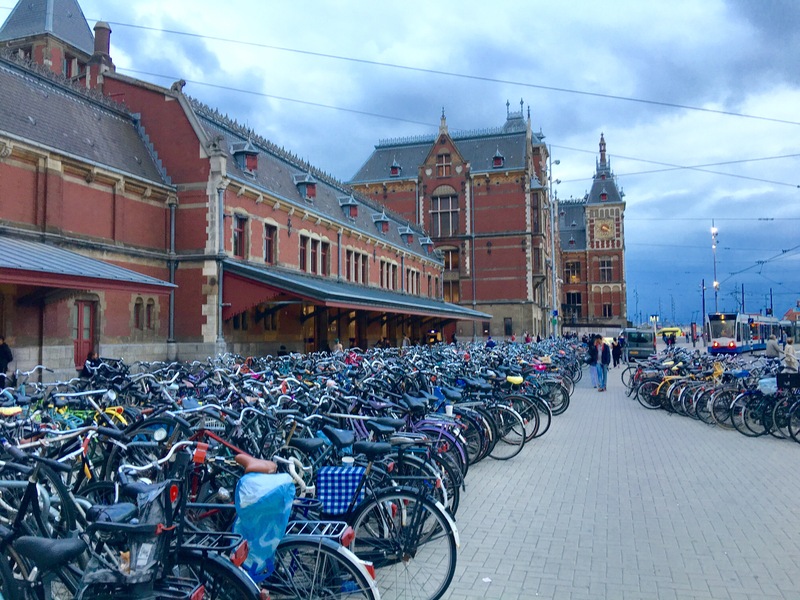 Bikes lined every bridge, walkway, and doorstep. I later learned from my taxi driver that once a year the government comes and takes all the bikes that aren’t claimed and donates them. So people just leave their old or broken bikes out when they are done with them. It was apparently almost time for this to happen again when we were there. It was pretty crazy! This was a barge next to the train station to provide more bike parking! 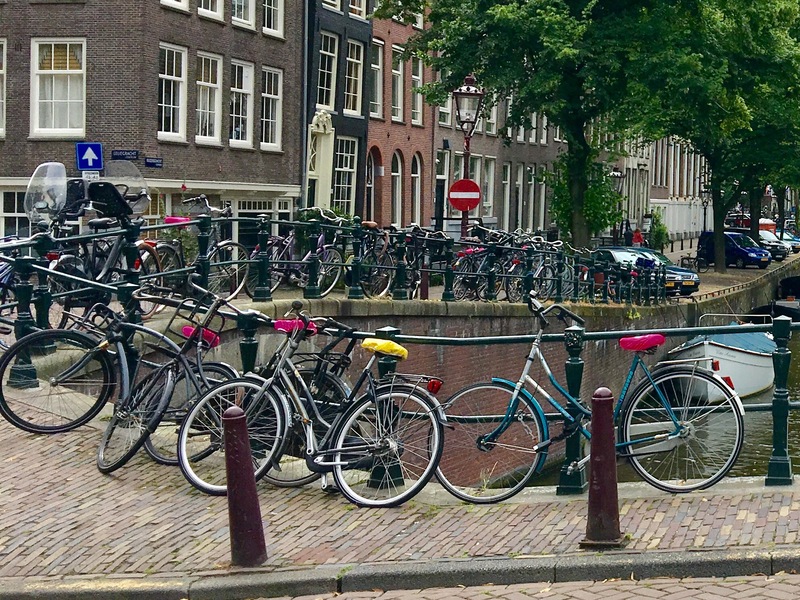 There are two types of people who travel to Amsterdam, those who go for the legal drugs, brothels, and strip clubs and those who go for the museums, flowers, and beautiful architecture. Guess which group we fall into?! 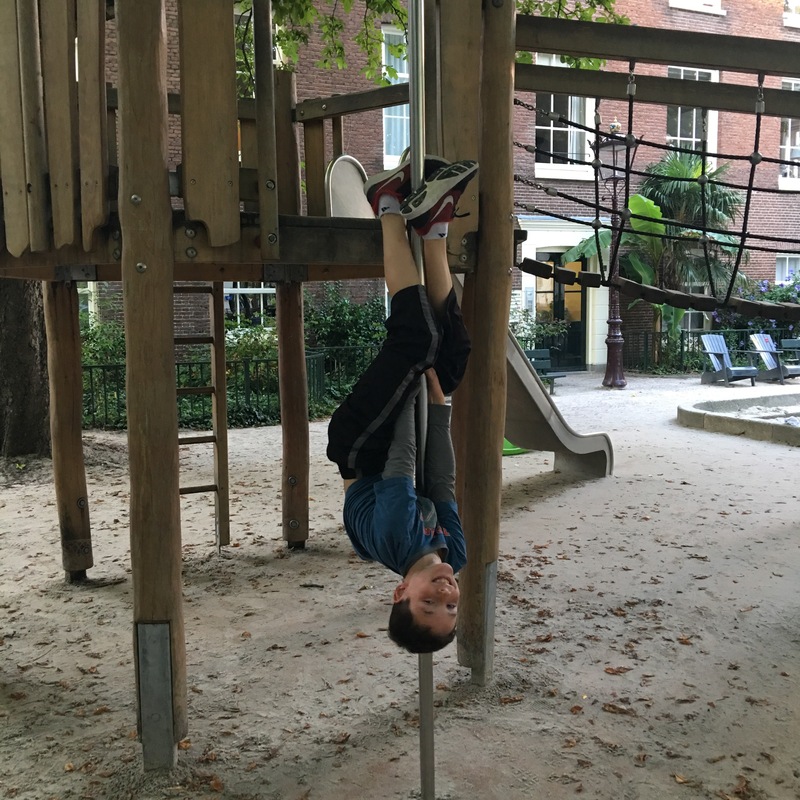 I am sure there are people who also go for all of the above, but we tried to avoid the first list of things as much as possible…with a few close calls. 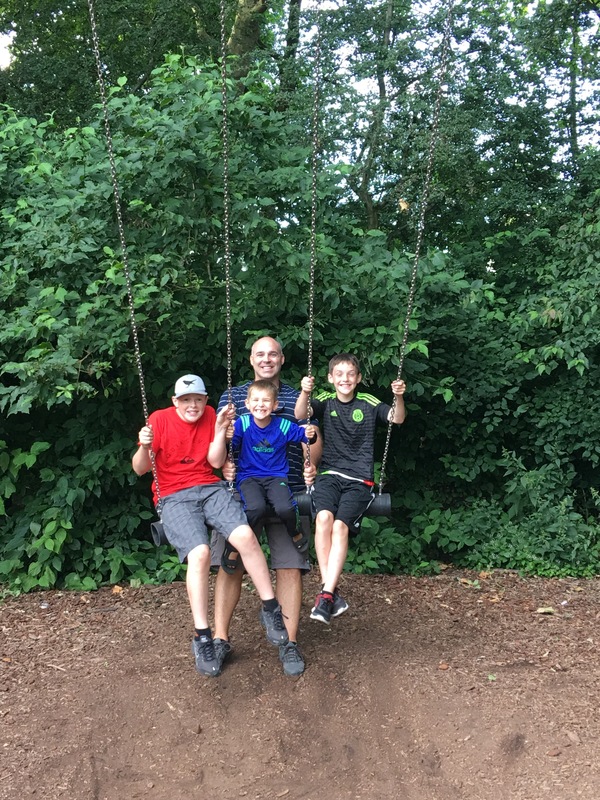 Once, we used GPS to try to find a good restaurant and it led us right towards the “Red Light District.” We quickly realized our mistake as we found the need to tell our kids to “look the other direction” too many times. The other thing was that Luke has been picking out postcards in each city to send home to Grandparents as his “journal” of our trip. 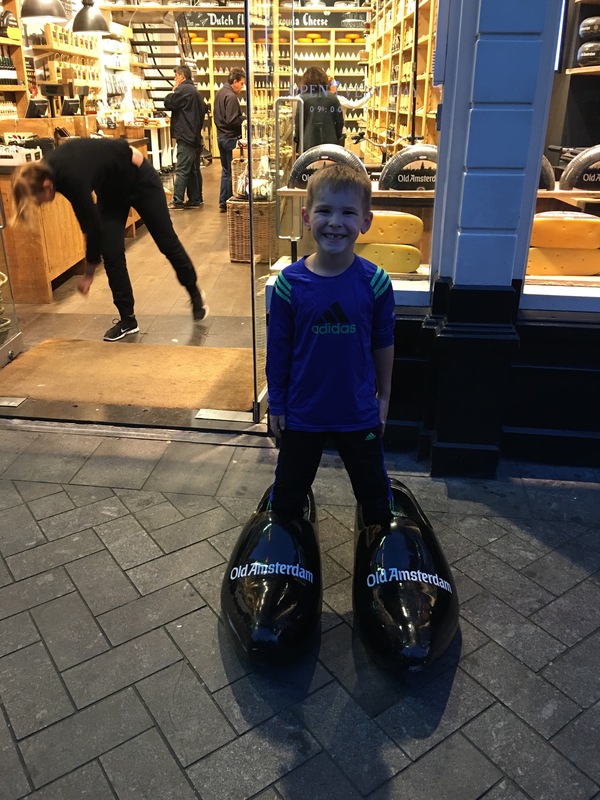 We quickly learned in Amsterdam that you cannot browse through the postcard section even in the good parts of town! 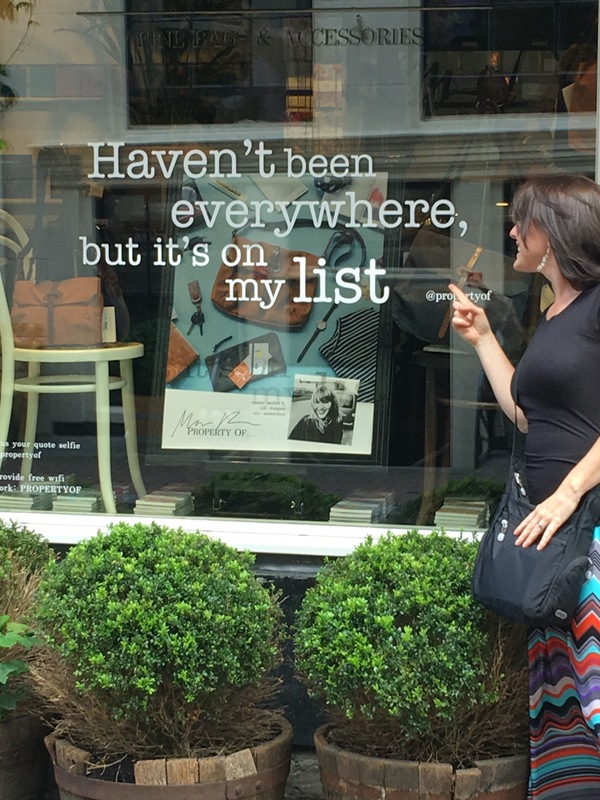 We found one of my favorite travel quotes in a shop window while walking around! 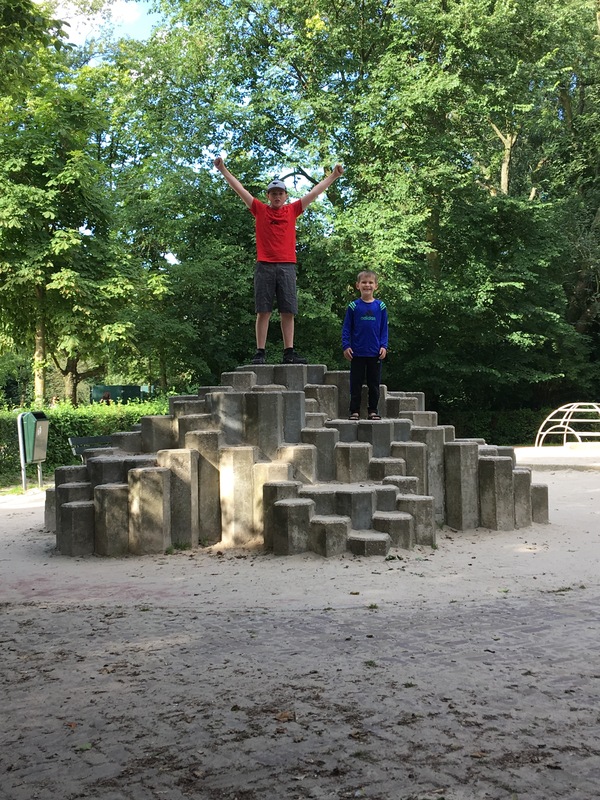 The Pokemon craze made it to Europe too! 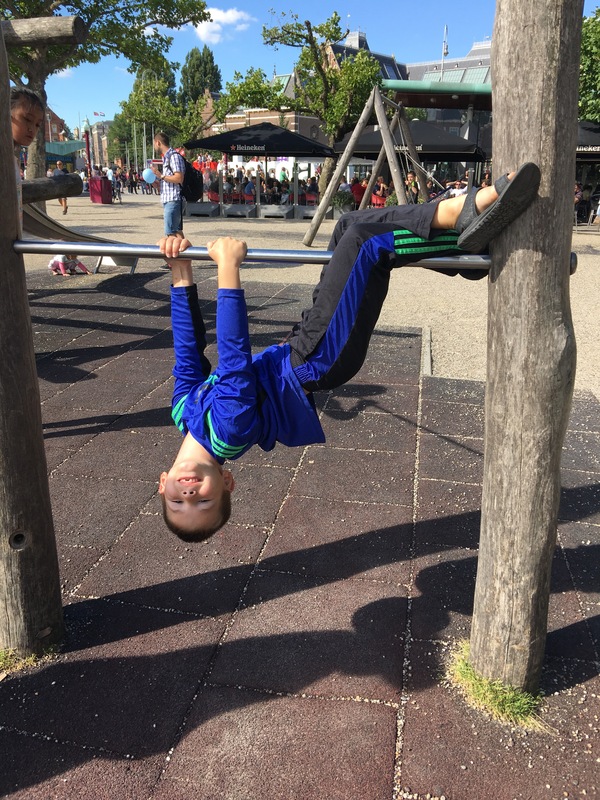 With a little planning and being aware of your surroundings, Amsterdam is actually a great city for families. 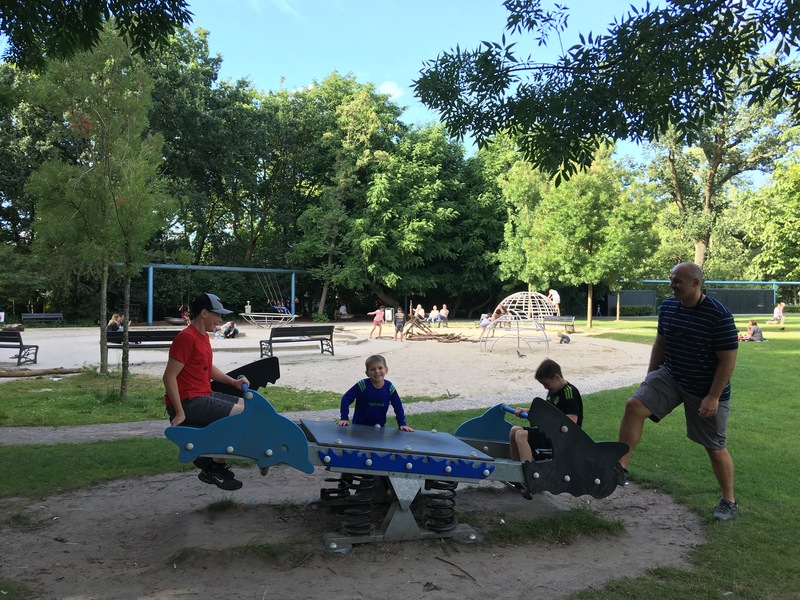 They seemed to have playgrounds on every other corner, which made it lots of fun for the kids. 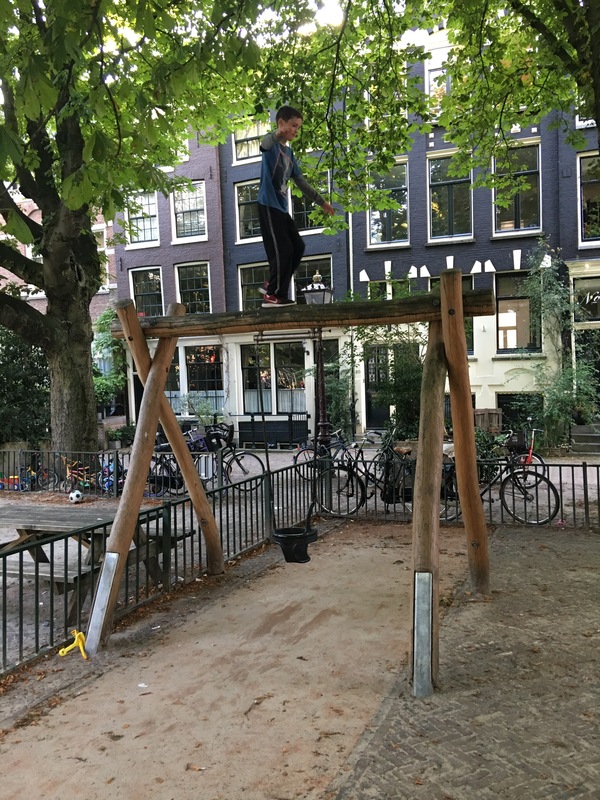 Also, because I am way behind on writing this blog I can compare my experiences at the museums to those in many other major European cities and I found Amsterdam’s to be the most kid-friendly by far. 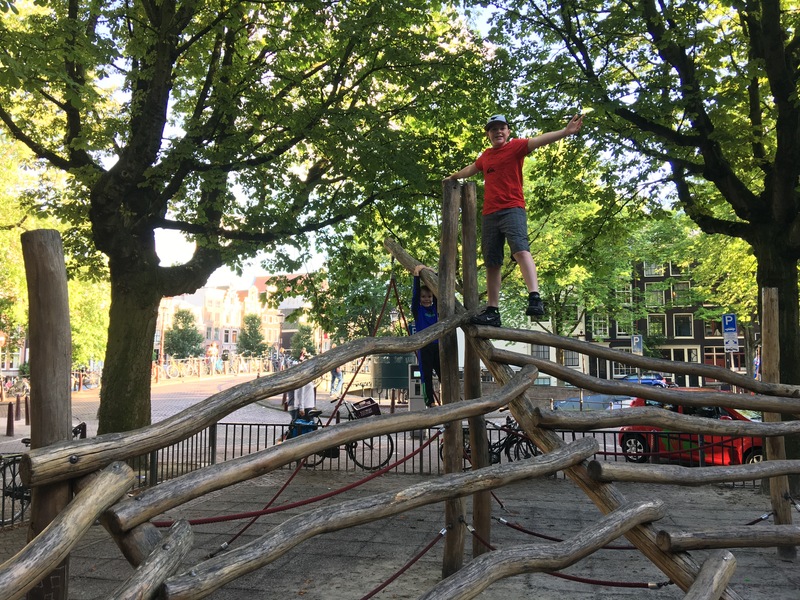 Both the Rijks Museum and The Van Gogh Museum had special audio tours specifically for children. These were entertaining and informative even for me! 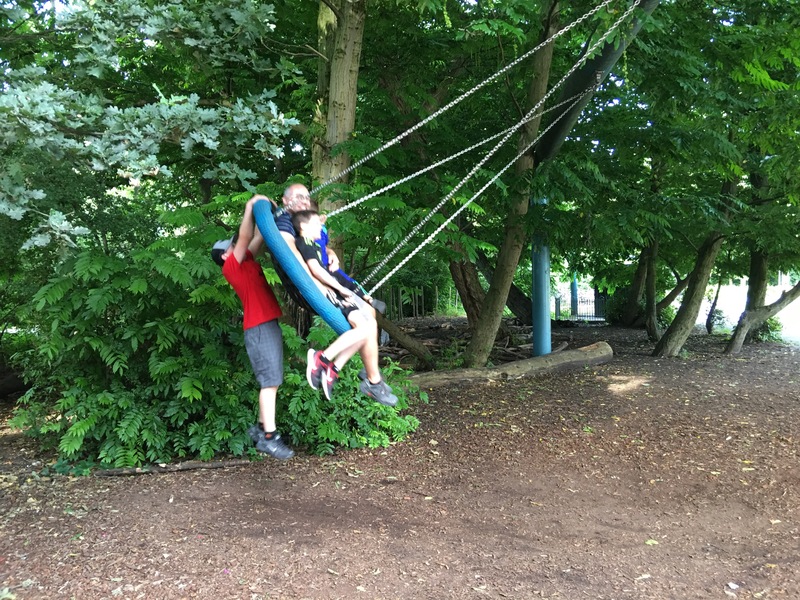 Parker and Jeromy opted for the regular audio tours, but they were very happy with those as well. We were able to spend an hour and a half in each of those museums without any complaining about being bored from any of the kids. 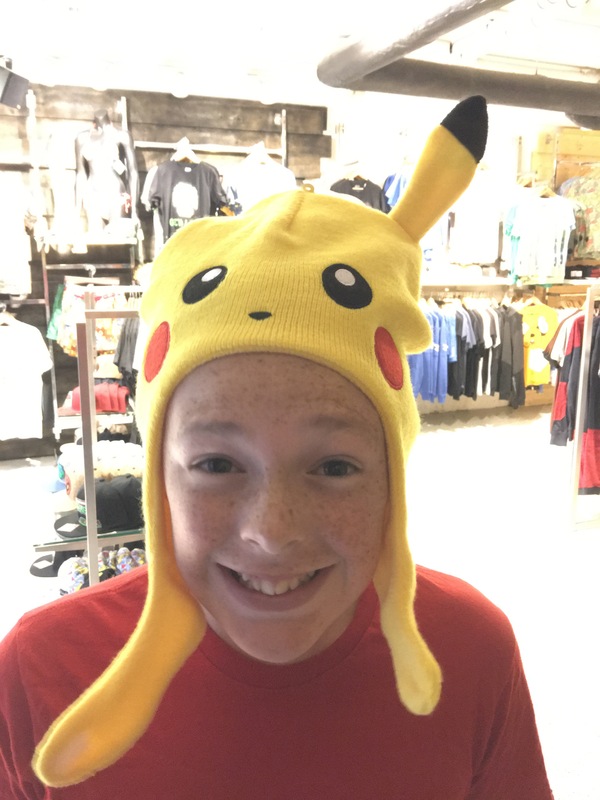 When they completed the audio guides and told the museum gift shop, they even got a prize! I loved this painting because it brought me back to beach days playing with my siblings and the Dyers ! Before traveling to a new place I always like to read books set in the area we will be traveling. 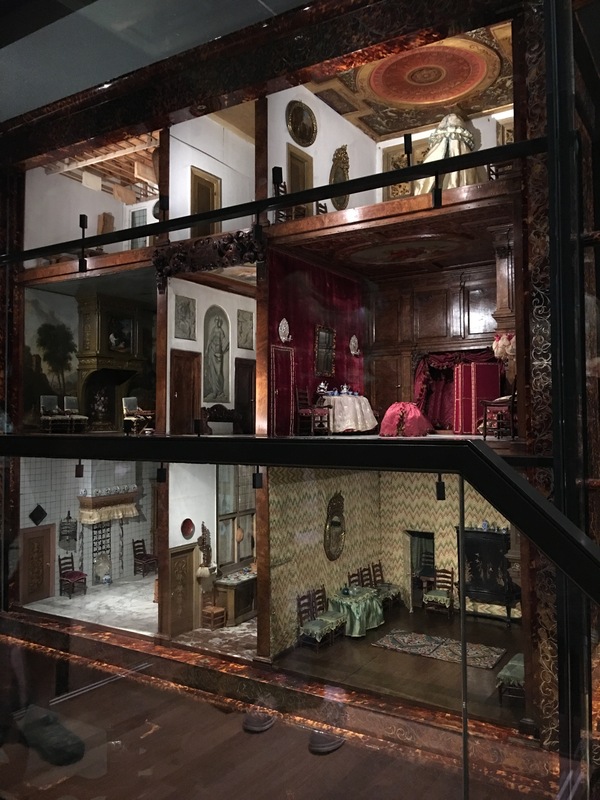 I had just finished reading “The Miniaturist” and imagine my surprise when I happened upon the actual cabinet owned by Petronella Oortman while wandering through the Rijks Museum! The book was entirely fictional, but it was fun to see the actual cabinet on which the author based the story. 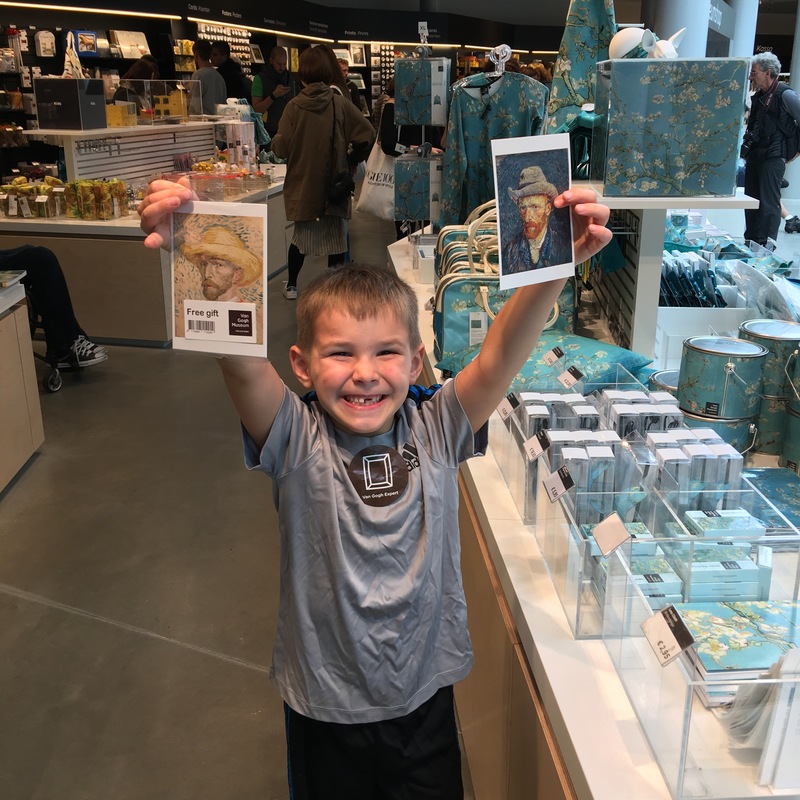 Luke was so excited to become a “Van Gogh Expert” while at the Van Gogh museum! In anticipation of our trip to Amsterdam, we listened to the Audio version of “Diary of A Young Girl” as we drove around Germany. We also watched a movie adaptation of the book. This made our trip to Anne Frank’s House in Amsterdam much more meaningful for all of us. What makes Anne Frank’s diary such a powerful thing to read is that it shows you how an average, fairly self absorbed, teenage girl lived in hiding. It made it personal and more real because she was so real. It was a very powerful experience. I don’t have any pictures because none were allowed in the museum. While we were in Amsterdam we also had one night we were able to go out on a date night with just Jeromy and I. We went to a great dinner and wandered the city, just the two of us. I love my kids, but being together 24/7 can be wearing. It’s one of the blessings of having a child old enough to babysit! A much needed night out by ourselves every once and awhile. This is how the boys spent the whole night! Happy to not be traipsing around a museum or city looking at architecture. 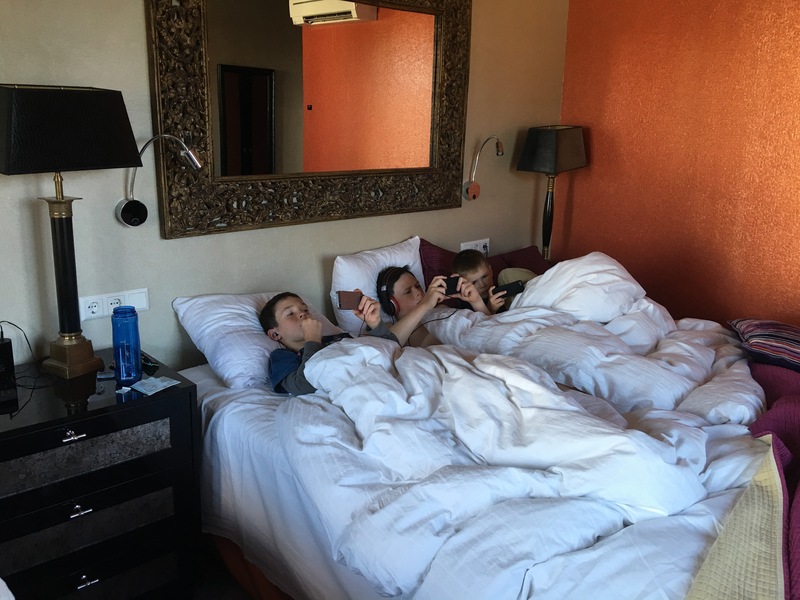 They spent the night focusing on their Minecraft and watching “The Hunchback of Notre Dame” and “Ratatouille” in anticipation of our trip to Paris the next day.